Rock Hills High School was the host site for the District IV FBLA Conference with over 325 local students competing in 63 events. 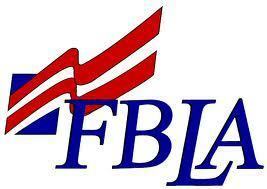 The Washington County FBLA chapter took 33 members and placed in a number of events. Many of these students will travel to Topeka April 2 & 3 for state competition and a chance to earn the privilege to compete at the National Leadership Conference in San Antonio, Texas late this June. Adviser, Michelle Bruna, "Many of the kids surprised me and most importantly, themselves. We are looking forward to studying and practicing for state." Back Row: Coy Stamm, Iain White, Kody Helms, Tray Zabokrtsky (Reporter), Tyler Nelson, Wyatt Bentz, McKenzie Metz, Nate Tice, Trever Grace. Second Row: Evyn Finlayson, Emily Jones, Britany Metz, Mia Cardenas (Chamber Rep), Lauren Simmons,(Vice President) Mandy Simmons, Luke Gauby, Jack Gilliam, Jaise Chandler, Alyssa Kern, Addi Mann, Kirsten Ouellette, Jake Toole, Kylie Mintzmyer (Secretary). Front Row: Drew Buhrman, Connor Linenberger (Comm. Serv. ), Grace Otott, Sean Bruna (President), Kobe Hoover, Tyler Simmons, Tyler Roepke, Camryn Boykin (Treasurer), Riley Dusin, Peyton Chandler.